Club Penguin Cheats by Mimo777 Club Penguin Cheats by Mimo777: Mimo is the 48th Most Influential Person in the Internet! 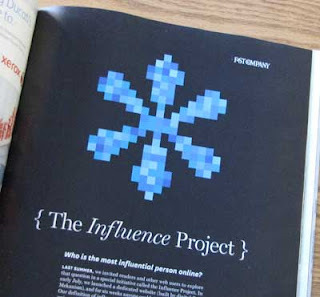 Mimo is the 48th Most Influential Person in the Internet! 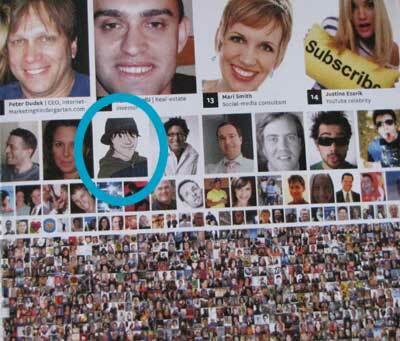 Remember awhile back the Fastcompany.com's Most Influential Person contest? Well the results are in and they actually printed all the participants in this months, November 2010 issue of Fast Company Magazine! 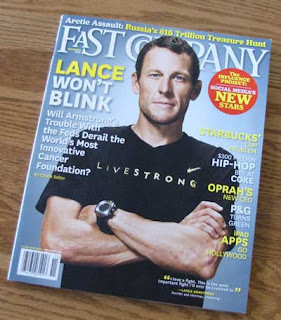 It has Lance Armstrong on the cover. I, Mimo am number 48th on the list. I am in the second row. Here is what the whole magazine layout looks like. Go find the newest Fast Company magazine and check it out for yourself! Now I really want to thank ALL of you who voted for me! This is very cool and I will remember all my friends out there forever! LET'S Party on Club Penguin! Congrats! Nice addition Mimo. I hope I buy it! Anyway, Club Penguin was nomitated at Bafta Kids Vote, Where UK people votes. I voted for Club Penguin on Bafta Kids Vote! I hope they add "Top People" and Ill vote you at least. WOOP WOOP! Cant wait to partaaaaaaaaaaaay! Congrats dude! Lets go party! Woah,my friend in America has got a picture.I will post this on my website,yes! Congrats Mimo! I voted for club penguin too! I like your top people suggestion. Everyone will be excited about the party! It will be amazing! Did you know that if you go to cove that the binoculars are behind the arm rest! great job mimo! You are the best person on the internet! And I have a question. Will someone find out if you delete them off your friend list in CP?? Mimo i just saw a commercial for a CP ice-hockey rink on the TV!!! It showed the rink, a few puffle toys and plush penguins, and mix-n-match figurines!!! I saw it right now at 3:57pm!!!! OMG!! That's so cool! Yeappy! Let's party! Oh yeah! Congrats Mimo! I knew you would make it close to first place. awsome!! your in a magazine so awsome!! :D good for you mimo! I have never been to a Mimo party before! Hopefully this time I won't miss it. Wow! Every seems to be excited about the party, I bet it's going to be a great party! Can we do a Stampede Party? mimo where is the PARTY???? Hm. Who is the most popular person on the internet? Hey, Anonymous! When you delete someone, you aren't in their list anymore. So, they may or may not find out depending on if they look for you on their list. Mimo! I saw another glitch(or bug)! So today I was looking at my stamp book and guess what I found? I completed all the stamps! Now, I know I didn't complete all of the stamps. I know that was a glitch! I can't wait for the party!!! Mimo! Hey it's Happywagon! Really that's an INCREDIBLE acheivement! :D I'm wicked happy for you! 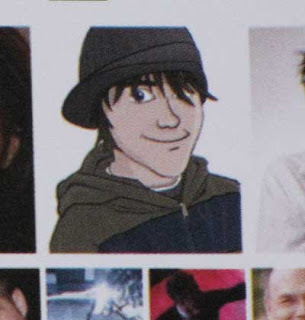 I'm even more impressed that you are more influential than Sxephil (a youtuber) and Mystery Guitar Man (aka Joe Penna, another youtuber) That's wicked cool! Keep up the great work! p.s. i love the way you're doing Mods Now! SUPER CONGRATS MIMO!You deserve it!Your website is awesome!And I mean it! 48 out of how many? Is this ganna be another clue party? or are you ganna tell us all the details? congratz arent u excited? i thought u would have covered the whole page with !!!!!!!! yaya yayay im sOOOOOOOOOOOO excited!!! I VOTED FOR YOU AND CONGRATS!!! also i was looking at your mod spaces there are two left could i become one if i passed a test or somthing also congrats on being the 48th influential person! GO MIMO!! Cool! I hope I see that dance! I never make it to the party's either because it's always too late for me. The details of the party will be announced soon! Mimo will say the details soon. The party is going to be great! It's going to be awesome! I'm coming to your party for def! Please make the time ok for England aswell tho. Mimo will tell us all the details soon. I'm not sure, it might be Lance Armstrong but correct me if i'm wrong. Yep! Can't wait for the party too and also please only put CPG MOD when you are modding! Thanks! That's a strange glitch! It will probably be fixed soon! You are MY most influencing person! Congrats Mimo! Whens the party?? I wonder if anyone else has noticed that Sensei says: "I see that you are wearing your Ancient Cloud Wave Bracers. Forecast is cloudy..." if you wear your cloud wave braces (obviously) and then talk to him in the Fire Dojo :) Even more concrete proof of Card-Jitsu Water coming very soon!!! hey mimo! i have some news about that member only backround. i emailed clubpenguin about it and they said that it is a bug and they are trying really hard to fix it! so it is a bug! patr1ck is hosting an igloo party! copy and paste this to 10 sites i will record and show you in the vid! Waddle on Mimo and the gang! Hello, Anonymous: 32955 people participated in this project! Mimo got 48/32955! Congratulations, Mimo! You're in the top 50! Yay congratulations for Mimo! The party is going to be great! Try e-mailing Club Penguin and telling them your problem so they can unban you. Hello, Datsyukrw! Mimo will announce the party details soon... or possibly some clues! Hello, Firestar5192! Sorry, but that has always happened. To the cloudy forecast he refers to the clouds you make with the bracers. congratulations mimo! thats awesome! cant wait to partay! I cant wait for the party its going to be awesome! You actually voted when you clicked on the link Mimo gave us! Congrats Mimo! That must be so cool. I hope I can make it to whatever party your mind is planning... Cool Pic. the ninja shadow is on the mirror in the ski lodge again... didnt it go away?